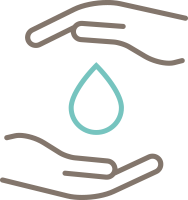 Founded in 2012, Salt Therapy NQ has developed into a multi-disciplinary natural health clinic, offering a variety of natural therapy services such as Massage, Kinesiology, Buteyko Breathing, Hypnotherapy, Salt Room Therapy, Meditation, Natural Skincare Solutions and Salt Products. Using a specially prepared room, combined with a state of the art, patented medical device, the atmosphere of the salt mines in Europe is reproduced along with all of the naturally occurring therapeutic properties in our Salt Rooms. Find out more about Salt Therapy, discover our Introductory Offer and learn more about our therapists. Buy one session, get your next free! Giving you the benefits of extended salt therapy treatment, with two consecutive sessions. Call us on 07 4728 3328, Email us at info@salttherapynq.com.au or Click here to book online using our online booking system. Give them the gift of choice. 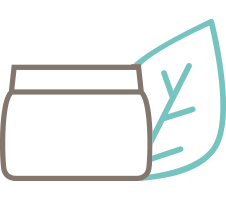 Gift vouchers can be used on skincare, salt products, salt therapy as well as all our other natural therapies on offer. Copied from a Review on our Facebook page by Lily’s mum, Rhiannon Kiviniemi. My Daughter Lily-Rose (2yrs) has been ventilin dependant for most of her life. Asthma has prevented her from so many things that a little girl should never miss out on. Dr Pat Ryan was concerned about her chest X-Rays and sent us away to test Lily-Rose for Cystic Fibrosis!!! Unfortunately all tests came back “inconclusive” due to poor sweat samples collected each time we tried. Somebody mentioned trying “Salt Therapy” to help treat her Asthma… I had heard about it years ago, but never thought ‘Townsville’ would have one!!??!! Prices were confronting, but at the end of the day, I was willing to try ANYTHING to help my baby girl. We go 4 days/week for 1hr. BEST investment I ever made!!! My reason for coming to the salt room was tiredness and Bronchial. I was not sleeping well, I was teary and I had the sound of running water in one ear. Now I have a restfull sleep; ear problem gone; skin is smooth. I am more relaxed, less stressed. There is a salt lamp in every room of my home. The one in my bedroom is turned off when I go to bed at night. 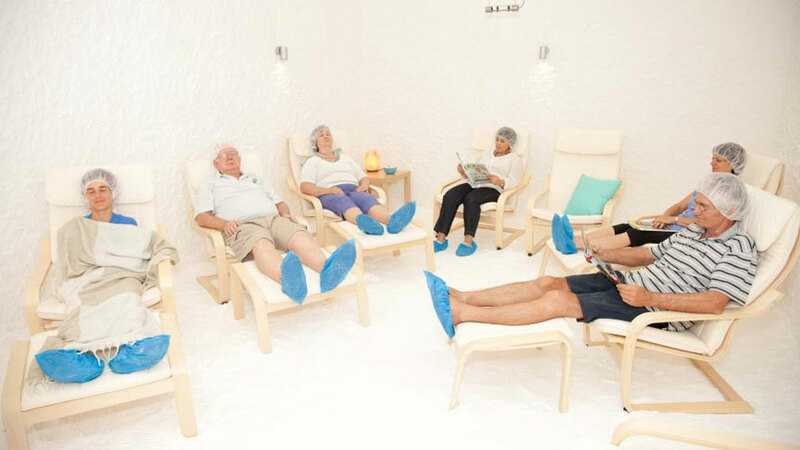 I enjoy my nanny nap 6 days a week in the salt room. Very rested. Thank you Karen for your support and positiveness. I am writing this testimonial for Salt Therapy NQ as I believe I have a story that should be told. A couple of years ago I was diagnosed with asthma, it tends to be seasonal. I am prescribed medication for treatment and prevention. I popped in and sought some information. Karen was very helpful and informative. Not feeling very well I decided to book my first visit that day. Immediately my need for asthma medication ceased. I could not believe the improvement after just one visit instead of a visit to the doctor I started a course of Salt Therapy. I have become a regular user of Salt Therapy and am also benefiting from the unwind time, the relaxation from the general surroundings of the Salt Therapy room. I haven’t used or had the need for asthma medication since my first visit to Salt Therapy NQ and over a few weeks my constant cough which became a normal part of my life has also gone. I sleep much better, no longer being woken by my cough, and feel the general health benefits have been fantastic. People have also commented on how healthy I look and I have also noticed a difference in my skin and am very happy with a healthy glow. Give it a go. I can definitely recommend Salt Therapy NQ. I went to Salt Therapy NQ to get relief from a sinus infection and post-nasal drip. I had recently been feeling really low, getting over a virus, and I was exhausted and had lost my sense of smell and taste. After two treatments I could actually breathe, and felt the air fill my lungs. The pressure in the sinuses eased significantly, and I have not had a problem with that post-nasal drip. I will continue with salt therapy treatments from time to time, to keep on top of my sinus problem, and as well, salt therapy makes you feel totally relaxed. I prefer to attend salt therapy in the late afternoon so I can just float home and look forward to a relaxing night’s sleep. Perfect! Karen is very knowledgeable and helpful and I totally recommend Salt Therapy NQ. I suffer from Asthma and mild-moderate Acne. Before coming to Salt Therapy sessions I was constantly needing my inhalers, morning, night and throughout the day. I work out, so before and after every gym session I’d need my puffer. After only one session of Salt Therapy my breathing became much better and with 1-2 sessions per week I barely find myself needing my inhalers! Salt Therapy also relaxed my acne and leaves my skin feeling smooth and fresh, like coming home from a beach. I decided to give Salt Therapy a try because I have chronic breathing problems as well as heart problems. 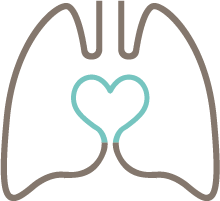 My breathing was worsened by a lung infection in 2012 which greatly reduced my lung function making it hard to enjoy life. Since starting Salt Therapy, my breathing has become easier. It has made my life a lot more comfortable and easier to live. My lungs will never improve but at least now I can take deep breaths and not be so short of breath. I have also found that the wellbeing of my body has improved. I would recommend Salt Therapy for any breathing problems or any of the health problems listed on brochures. I was seeking to breathe easier as Pneumonia left me with a constant cough. I have Pulmonary Hypertension and Asthma. Since undergoing Salt Therapy I am able to breathe easier without having to rely on a nebuliser. My coughing has substantially subsided. Karen is very helpful and assists you in every way possible. I have had constantly blocked sinuses. Prior to Salt Therapy my blocked sinuses were preventing sleep. Since undergoing Salt Therapy my sinuses have been greatly relieved. Karen has been very helpful with another condition doctors have not found for three years. Being a sinus sufferer for years I decided to give the Salt Therapy a go and so pleased I have. My breathing and lung capacity has improved and I am able to get rid of mucus from my sinuses much easier. Over time my post nasal drip has gone so less coughing and sore throat. The Salt Therapy has multiple benefits and works very subtly. Karen is very helpful in all aspects of health. I highly recommend the Salt Therapy. I sought Salt Therapy for Sinusitis. Before I had Salt Therapy I had inflamed sinuses, blocked nasal passages, puffy eyes and sinus areas and headaches. After one treatment I was able to breathe easier and after a few more treatments the swelling had disappeared. Amazing improvement in sleep and general health and wellbeing. Haven’t had to use a nasal spray since starting treatment. I highly recommend it not only for the salt therapy but the wonderful one hour of relaxation. May many people experience it. I initially tried salt therapy for my dermatitis-psoriasis, hay fever/sinus, immune system and stress. Prior to having Salt Therapy treatment I had seborrheic dermatitis on my face, back and scalp, regular hay fever and sicknesses. Since undergoing a course of Salt Therapy my Mum has commented on how I’m blowing my nose less. A friend has commented on how clear my skin is and I am using my cortisone (steroid) cream less often. It’s also my hour of pure calm and relaxation. A few weeks ago on a Friday I was all stuffy and clearly getting a cold/flu but after a visit to the salt room on the Saturday I was fine as it all cleared up. I sought treatment for my sinus condition. Prior to a course of Salt Therapy my breathing was restricted and I suffered from vertigo. I have recovered from the vertigo and my breathing is easier. I sought treatment to gain relief from chest and sinus conditions. My congested lungs and blocked sinuses remained a constant problem. While undergoing a course of Salt Therapy I experienced relief in both areas after each visit. However, due to residing 130kms fro the therapy rooms, relief remained somewhat marginal i.e. needed more frequent visits. On a more recent visit I was shown a “salt pipe”- purchased same and have found it to be excellent in alleviating both problem areas, but particularly helpful re sinuses. I sought treatment for skin infections, low immune system – wanted to feel “better/well”. I was constantly tired, many skin infections (like boils), poor circulation, low immune system. Since undergoing a course of Salt Therapy I am sleeping much better (5 hours straight), skin infections healing very well – less occurrence of them as well. I am very happy with Karen’s assistance and knowledge. She goes out of her way to help. I have a medical condition called C.O.P.D. and during a holiday overseas I fell ill with Influenza A. My usual medication was not helping my breathing. Prior to seeking Salt Therapy I was extremely short of breath to the stage where I had to have help to do normal everyday chores, not sleeping and feeling very unwell. Since undergoing a course of Salt Therapy I started to feel the benefits after only 2 sessions and at the moment have had 7 sessions and I am pleased to say I am feeling great. My breathing has improved so much that I am back to walking for 1 hour every day. I would highly recommend Salt Therapy to anyone with Asthma or any Lung conditons.